There is an “inner celebrity chef” in me. I always daydream about my “celebrity chef” moments–giving speeches about my cooking and recipes to applauding fans; authoring a series of Rasa “fill-in-the-country-name” cookbooks (starting with Rasa Malaysia, of course). Hosting glitzy food schmooze fests attended only by the crème de la crème; looking-and-cooking pretty in the highest rating lifestyle and food show; and the list goes on. All these are fantasies, but I indulge in them whenever possible. Since I bought the acclaimed “Asian Flavors of Jean-Georges” cookbook, I have been wanting to try out his steamed mussels recipe. The most interesting ingredient used in Jean-Georges’s steamed mussels recipe is coconut juice–the soul of this dish and the base of the highly addictive broth. While I have tried coconut juice steamed herbal chicken in Malaysia, I have never thought about the possibility of using it with shellfish. What a brilliant idea! The refreshing taste of coconut juice infuses the steamed mussels with just the right tint of natural sweetness, while it brings out and complements the complex flavors of lemongrass, bird’s eye chilies, galangal, and Thai basil. The steamed mussels were delicious and I kept not a single drop of the broth to waste. When food is that good, it’s a satisfaction. My stomach and taste buds were thoroughly fulfilled. Jean-Georges’s steamed mussels is a 5-star recipe and it’s Rasa Malaysia certified. To get a copy of Asian Flavors of Jean-Georges, please click here. To see my recommendations of “Must-Have Cookbooks,” please click here. P.S. : Previously, I tried to be Nobu Matsuhisa and here is the recipe of Nobu’s famed Black Cod with Miso. Steamed Mussels with Lemongrass, Thai Basil, Chilies, and Coconut Juice. Bring the coconut juice, galangal/ginger, lemongrass, and smashed bird's eyes chilies to boil over high heat. Add the lemon zest and simmer for 10 minutes. Add the lemon juice and salt to taste. Remove from the stove, strain the broth and set aside. Discard the aromatics. Heat up the cooking oil in a wok or deep saucepan that can later be covered. Add the minced garlic and shallots and cook until lightly browned. Stir-in the chopped bird's eye chilies, then add the mussels and the broth. Add the basil leaves, cover and cook until all mussels are open. 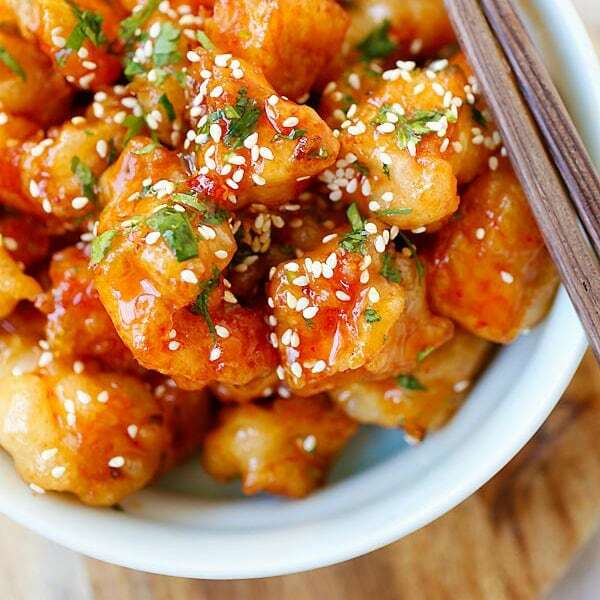 Add salt to taste, dish out and serve hot with steamed rice. LOVE this book!!!! Thank you again for sending me this book. yummy . . . . . In Msia, I normally get to cook those smaller size one, we call it as “thin shell”… mini size one.. I love it very much.. 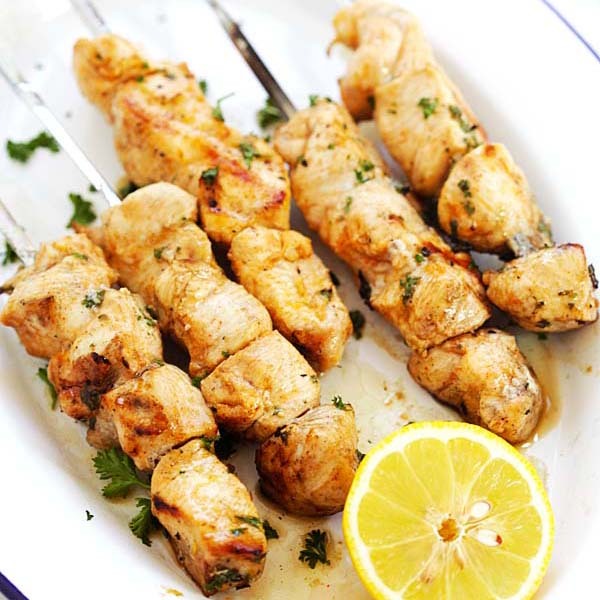 I miss my mum’s favorite dish…. I wrote a post about it a little while ago. This a very beautiful dish – the flavors, the colors. Coconut juice has got so much going for it — lots of fragrance and flavor with a lot less fat than coconut milk (though coconut milk is good stuff). 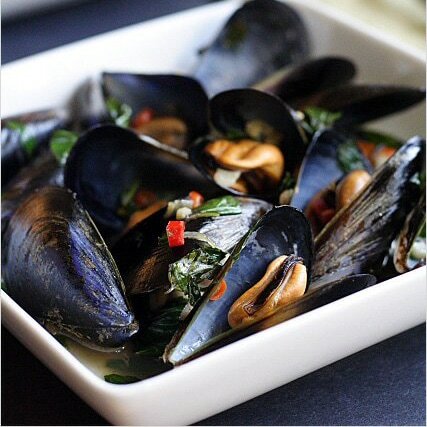 I love shellfish more than anything else… and your steamed mussels look so good that I almost lick my screen! LOL! I love shellfish too. I am so tempted to get this book! never thought of using coconut juice for cooking before. sounds like a great idea! and it also sounds easy enough for someone like me. lol. This looks incredible. Simply bloody incredible. Great job as usual. I now hate you even more. I didn’t think that was possible! LOL. This looks really wonderful! I think I will try it out sometime. Mussels are one of my fave seafoods. Hey miss! I got the same book for christmas. It’s fantastic and you’ve just reminded me to use it. Great looking moules! Thanks for sharing, this looks really good! That look and sounds absolutely great. I’m definitely going to be giving this one a try! My mouth is watering already! I have this book and absolutely love it! Thank you for reminding me to dig it out and give it a go again. A truly wonderful recipe. I have this book too,like you, I think the dish on the front cover should be great! my goodness! The combination of flavors sound wonderful!! Cass, happy? Remember to feed me those butter prawns! That looks and sounds amazing! 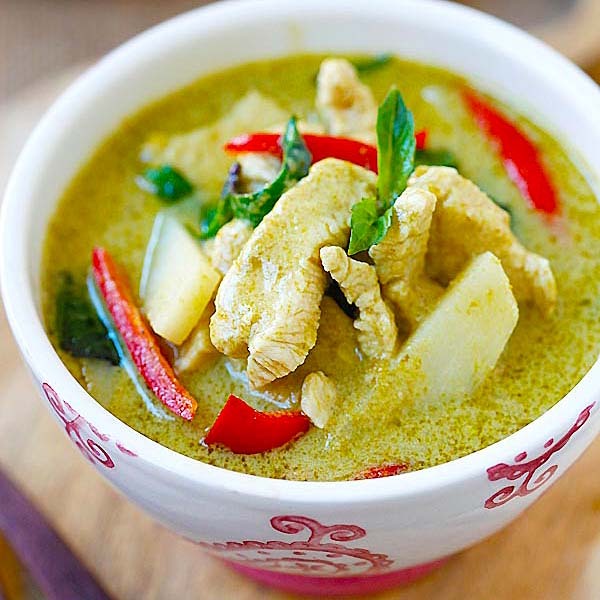 I love anything with coconut, basil, and lemongrass. It’s the standard for Thai! You’re making my mouth water. mm i love mussels! and your photography is stunning. i adore your style. so glad to have found your blog. I can see that you’re a fan of Fuschia Dunlop. Her books are my most-used cookbooks. I went to Jean Georges a couple years ago during Restaurant Week when there were prix fixe menus for under $25. The place was gorgeous and the service was magnificient. The food was okay. I didn’t try the lemon grass mussels but your photos definitely make them look delicious. These look like a million bucks! 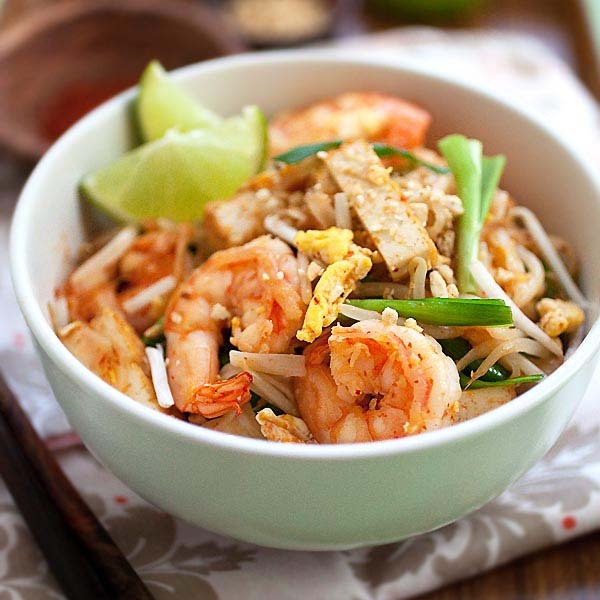 I need to go grab some lemongrass from the garden and try this dish. I see myself licking the plate clean already! Your mussels look FANTASTIC! And my dear, “celebrity chef” is definitely in your future! I have not tried this recipe but i have made another one in the book. It’s Roast chicken with chunky miso sauce and grapefruit salad. I was happy with the results – easy to make and the end result was elegant and quite original. Well worth trying! I love mussels! This one is interesting with the addition of lemongrass and coconut juice. And I also do not waste the broth when eating these mussels. I will always try to scoop up as much broth using the shells and down them together with the flesh. Beautiful mussels! I usually steam/poach in stock but I can imagine the lovely aroma coconut milk would add! This steamed mussels with lemongrass, thai basil, shillies and coconut juice is making me drooling. I really like the combination. It’s a beautiful and tasty recipe. I would wish to know how many persons this recipe is provide for ? is “coconut juice” the watery liquid inside a coconut? not the squeezed out coconut milk used in SEA cooking? Yes, coconut juice is the clear water inside of coconut. I love mussels and this recipe is very easy. This was delicious – but we must have used some super hot peppers because this was SPIIIIICY. Would make again adjusting the pepper level (and we like things fairly hot).